Almond butter is usually our nut butter of choice in this household, but lately I’ve been craving peanut butter, and not just for dipping celery sticks in. I needed something chewy, something sweet, something from childhood. 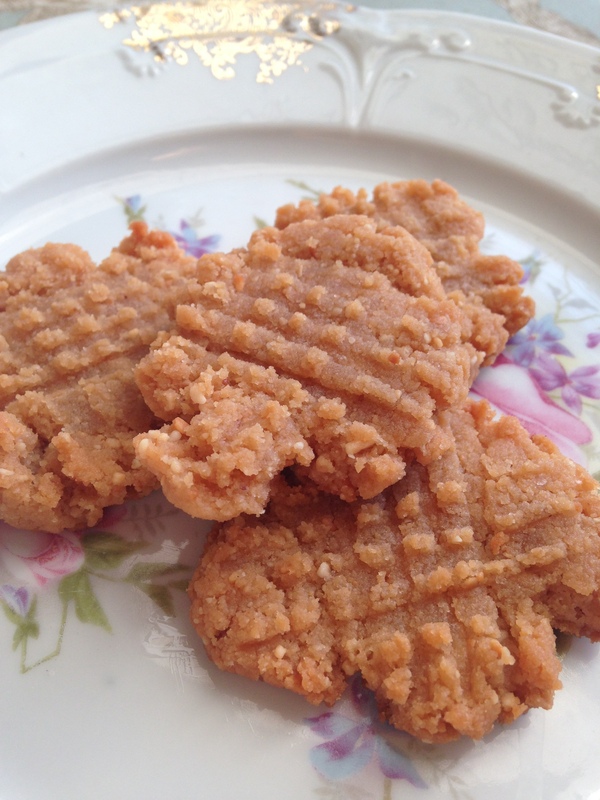 It’s literally been years since I’ve had a peanut butter cookie, but when I saw a picture of these low-carb gluten-free peanut butter cookies that a friend posted on Instagram, I had to have the recipe! So I can’t take credit for this recipe, but wanted to pass it along! I’m definitely not eating strictly low-carb, but I am being more mindful of carbs. 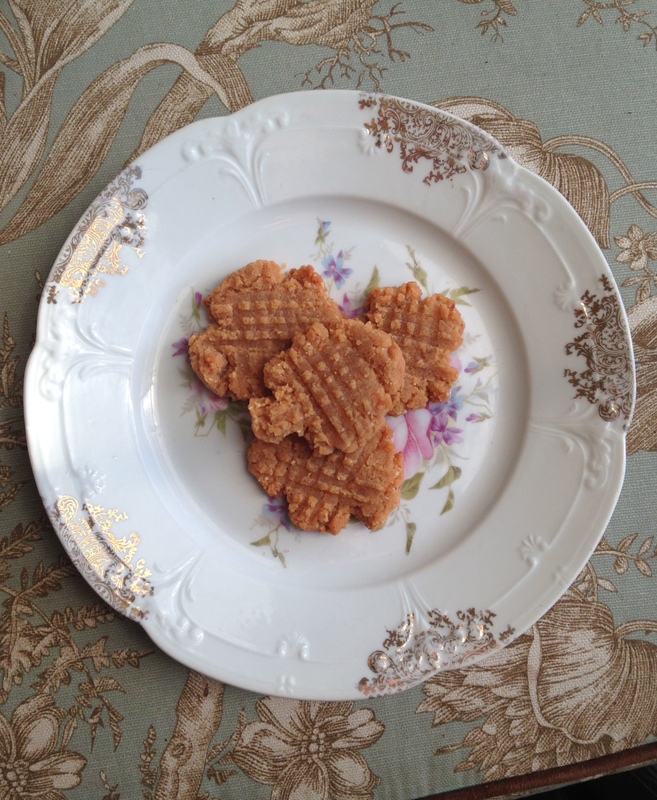 For my THM ladies, this recipe is an “S”. Slowly add dry ingredients to wet ingredients until well combined. Roll dough into 1.5 inch balls and place on ungreased cookie sheet. Press a crosshatch pattern into the balls with a fork. Bake for 10 minutes, or until golden. I loved this recipe, but if you’ve ever used coconut flour, you know that it requires a LOT more liquid than any other “flour”. These cookies were awesome, but I want a little more chewiness and a little less dry. The next time I make these, I’m going to add another egg and about 1/4 cup of unsweetened almond milk. I almost did this before I tried the original recipe because I know how coconut flour is, but I wanted to give the original recipe a try. Even if you make no adjustments to the original recipe, I’m sure you’ll LOVE the end result! 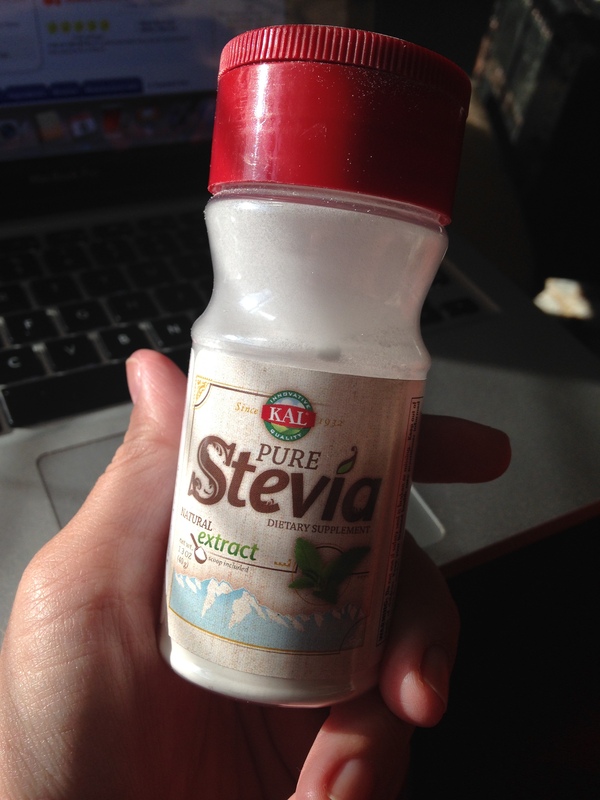 *Note on the Stevia EXTRACT POWDER: This is not the same as Stevia. Pay attention to the labels and look at the ingredients. Stevia Extract Powder is very potent…I have my shaker bottle set with just 3 holes open and one little shake is enough for an entire latte. For this recipe, I did about 4 shakes…doesn’t look like enough, but it’s plenty! Always err on the side of caution with Stevia and add more if necessary. The extract powder is more expensive than others that have fillers, but a 1.3oz bottle of Kal Stevia Extract Powder literally lasts me 6 months! Totally worth the $14 at Sprouts. You can also order online for less than that. Tags: gluten free, gluten free cookies, gluten free diet, healthy cookies, healthy snacks, low carb, low carb dessert, low carb diet, THM, Trim Healthy Mama. Bookmark the permalink.